According to regulations from Germanic Lloyd, all ships of ice-class E3 must be equipped with a device which prevents freezing of ballast water tanks that reach above the water line. Each relevant tank is equipped with an air bubble system, which circulates the water within them to prevent freezing. Equip ships of ice-class E3 with anti-ice-system. 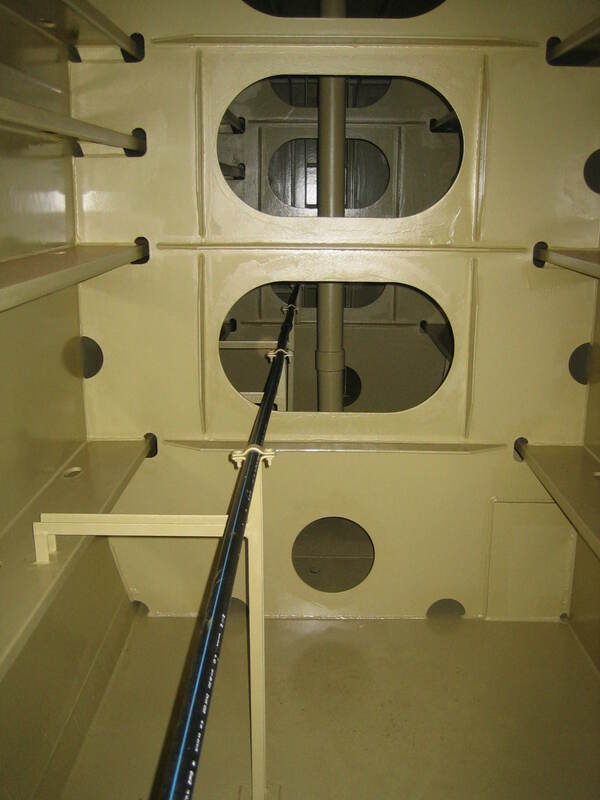 Compressed air is blown into water through PE piping with drilled nozzles. The airflow disintegrates into bubbles due to a sudden drop of pressure after leaving the nozzle pipe. The bubbles rise, after a short period of acceleration, with constant speed to the surface. The buoyancy of the bubble veil pulls water with it (friction) which mixes the waterbody. Not the compressed air prevents building of ice but the movement of the waterbody. Compressed air functions merely as “booster pump”. The dimensioning of pipes and nozzles is based on theoretical knowledge, as well as experience in compressed air systems by AGO Hydroair.